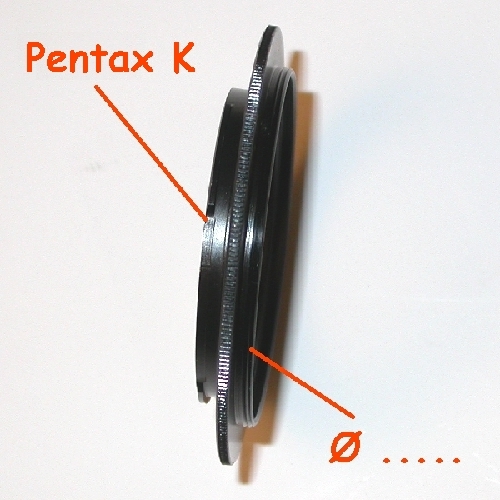 REVERS ADAPTER for Pentax K . Ø mm: 55/58/62/67/72/77 . ATTENTION To specify in the order type of photographic graft ø ?